Apple’s much-rumoured 12.2-inch iPad isn’t expected to debut until 2015, but we may already have some new details about its hardware. 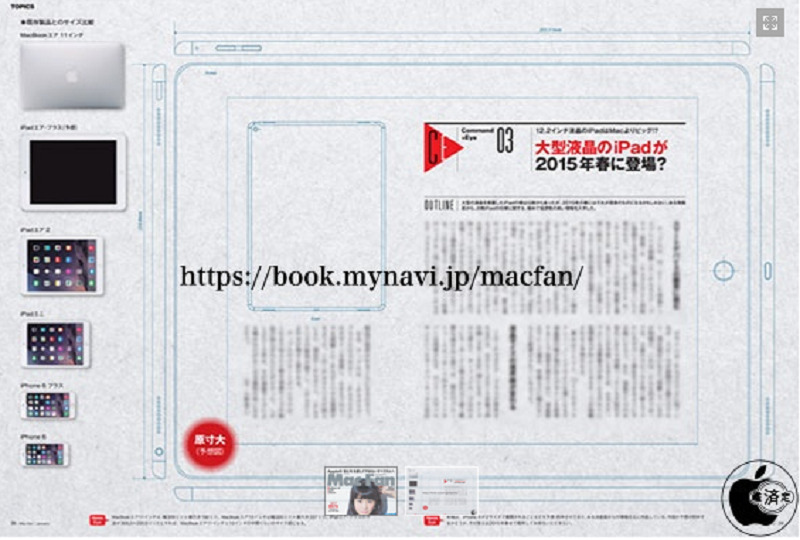 Japanese magazine Mac Fan just published schematics that reportedly show the tablet’s design, and blog Mac Okatara posted a copy of the document online (via MacRumors). 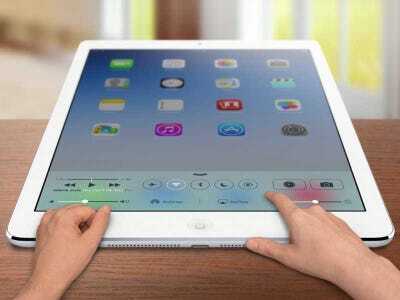 According to the image, Apple’s giant tablet would include a 12.2-inch screen and would measure 305.3 x 220.8 x 7mm. This would make it slightly thicker than the iPad Air 2, which is 6.1mm thin. Mac Fan also claims the larger iPad will come with an improved A9 chip, which sounds like it would be the next iteration of the A8X processor found in Apple’s current iPad. As for other design tweaks, the Japanese publication says the “iPad Pro” would come with dual top and bottom speakers to enhance the tablet’s audio quality. Check out the schematics printed in Mac Fan below. An iPad mini 4 may also be in the works, according to Mac Fan, and the magazine says both tablets are likely to launch between April and June of 2015. It’s unclear exactly how credible Mac Fan is, so we’ll have to wait until next year to learn more. Apple has been rumoured to release a larger sized tablet for months, but these bits of speculation became more credible when Bloomberg reported that Apple was working on such a tablet in August.